There are 84 days until the October 19, 2015 federal election. Here is the latest news from federal candidate nomination updates in ridings across Alberta. Calgary-Confederation: Noel Keough has entered the NDP nomination contest. He will face Arti Modgill, Kirk Heuser and Marc Power. Dr. Keough is an assistant professor of urban design at the University of Calgary. Earlier this year Dr. Keough withdrew his name from the ballot as the Green Party candidate in Calgary-Klein to endorse provincial NDP candidate Craig Coolahan. 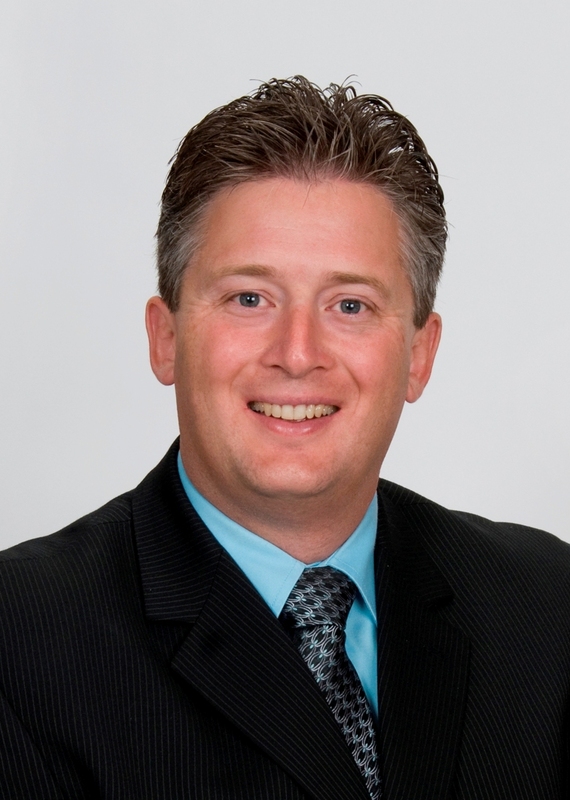 Mr. Coolahan defeated Progressive Conservative MLA Kyle Fawcett by 40.2% to 26.6%. Calgary-Heritage: Artist and country music singer Matt Masters Burgener is seeking the NDP nomination to run against Prime Minister Stephen Harper in southwest Calgary. Mr. Burgener is the son of former PC MLA Jocelyn Burgener, who represented Calgary-Currie from 1993 to 2001. Calgary-Midnapore: Three candidates will contest the Liberal Party nomination scheduled for July 28. Candidates include Haley Brown, Harbaksh Sekhon and Tanya MacPherson. Mr. Sekhon was the Liberal candidate in Calgary-Hawkwood in the recent provincial election. Edmonton-Mannng: Artist Aaron Paquette defeated community activist Jeanne Lehman, and University of Alberta english instructor Glenda Baker to win the NDP nomination. Edmonton-Riverbend: Registered Nurse Ruth Alexander, Meheret Worku and University of Alberta Engineering Professor Brian Fleck is seeking the NDP nomination. Dr. Fleck was the provincial NDP candidate in Edmonton-Whitemud in 2004. Edmonton realtor Sandy Pon has entered the Conservative Party nomination contest triggered by the retirement of Member of Parliament James Rajotte. 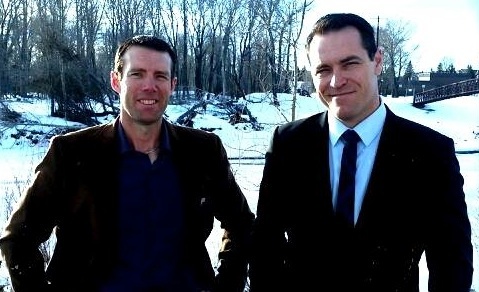 Also contesting the nomination are former PC MLA Matt Jeneroux and past Wildrose candidate Ian Crawford. Edmonton-Strathcona: Donovan Eckstrom announced through a YouTube video that he will run for the Rhinoceros Party. In 2011, he was the Rhino Party candidate in the Peace River riding, where he earned 0.72% of the vote. 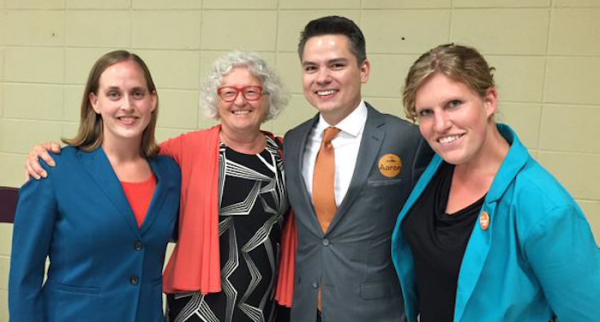 Edmonton-West: Former Edmonton Public School Trustee Heather MacKenzie defeated hotel manager Jim Hill to win the NDP nomination. Ms. Mackenzie represented west Edmonton’s Ward E on the public school board from 2010 to 2013. She has been endorsed by Catholic School Trustee Patricia Grell, former public trustee Dave Colburn and current public trustee and former NDP MLA Ray Martin. Lakeland: Duane Zaraska has been nominated as the NDP candidate in this northeast Alberta rural riding. Mr. Zaraska is Vice-President of Region 2 of the Metis Nation of Alberta. Red Deer-Lacombe: Registered Nurse Doug Hart is expected to enter the NDP nomination contest. As the NDP candidate in Lacombe-Ponoka in provincial election, Mr. Hart finished with 30.1% behind Wildrose candidate Ron Orr with 35.7%. Mr. Hart will face former provincial NDP candidate Katherine Swampy for the nomination. 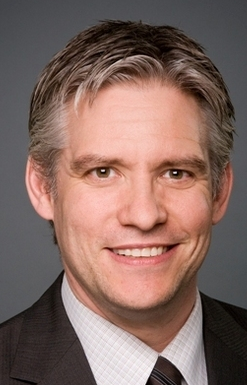 Red Deer-Mountain View: Lawyer Gary Wanless is seeking the NDP nomination. Mr. Wanless was the lawyer for Red Deer lawyer Robert Goddard, who, in 1999, filed a defamation lawsuit against former MLA and federal party leader Stockwell Day for comments he made in a letter to a local newspaper. Mr. Wanless has withdrawn his name from the NDP nomination contest. Public School Trustee Dianne McCauley is seeking the NDP nomination. St. Albert-Edmonton: Aretha Greatrix is challenging Darlene Malayko for the NDP nomination. Ms. Greatrix is the Chair of the Wicihitowin Circle of Shared Responsibility and Stewardship and a member of a working group of Mayor Don Iveson’s Poverty Elimination Task Force. I have added these updates to the list of nominees and nomination candidates planning to run in Canada’s 2015 general election in Alberta. Please email david.cournoyer [at] gmail.com if there are additions to the list. Thank you. This entry was posted in Alberta Politics and tagged Aaron Paquette, Aretha Greatrix, Arti Modgill, Brian Fleck, Calgary-Confederation, Calgary-Heritage, Calgary-Midnapore, Craig Coolahan, Darlene Malayko, Dave Colburn, Donovan Eckstrom, Doug Hart, Duane Zaraska, Edmonton-Mannng, Edmonton-Riverbend, Edmonton-Strathcona, Edmonton-West, Gary Wanless, Glenda Baker, Haley Brown, Harbaksh Sekhon, Heather Mackenzie, Ian Crawford, James Rajotte, Jeanne Lehman, Jim Hill, Jocelyn Burgener, Katherine Swampy, Kirk Heuser, Kyle Fawcett, Lakeland, Marc Power, Matt Jeneroux, Matt Masters Burgener, Meheret Worku, Noel Keough, Patricia Grell, Ray Martin, Red Deer-Lacombe, Red Deer-Mountain View, Robert Goddard, Ruth Alexander, Sandy Pon, St. Albert-Edmonton, Stephen Harper, Stockwell Day, Tanya MacPherson on July 27, 2015 by Dave Cournoyer. 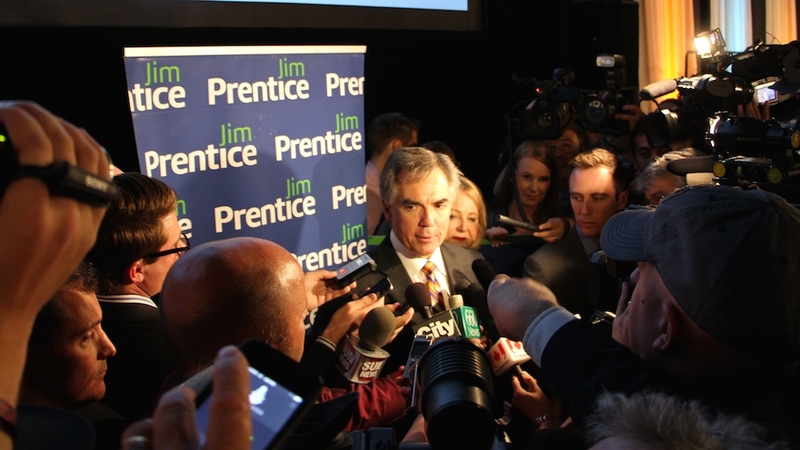 Jim Prentice scrums with the media after his victory speech on September 6, 2014. “After two weeks with me as the premier, there will be no doubts in anyone’s minds that this a time of renewal and a time of change. 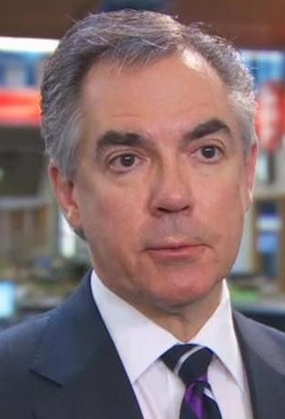 Put your seat belts on.” – Jim Prentice speaking with Roger Kingkade and Rob Breakenridge on September 9, 2014 on News Talk 770. Wearing your seat belt while driving in a motor vehicle is always a good idea, but in this context, it may not cure the political whiplash endured by Albertans over the past two years. The interview was a rough start to a mixed week for Jim Prentice, who is in the midst of transitioning into the Premier’s office and is expected to be sworn-in next week. He had positive first meetings with Edmonton mayor Don Iveson and Calgary mayor Naheed Nenshi. And his rounds of media interviews early in the week were an introduction to many Albertans who are unfamiliar with Mr. Prentice and a departure from his predecessor, who became notorious for avoiding the legislature press gallery. If his first week of transitioning into the Premier’s Office is going smoothly, the same might not be the case for his first week as leader of the 43-year governing Progressive Conservative Party. Mr. Prentice is already having to deal with allegations about PC MLA Sohail Quadri’s role in accessing voting PIN numbers in last week’s leadership vote. Much of the mainstream media coverage this week focused on speculation that Mr. Prentice could appoint individuals from outside the legislature to what is expected to be a smaller provincial cabinet. As the rumours fly, three names have been widely speculated as prospective outside appointments – AIMco CEO Leo DeBeaver, Conservative MP James Rajotte and former Edmonton mayor Stephen Mandel. Mr. Mandel is currently serving on Mr. Prentice’s transition team and endorsed his candidacy in the PC leadership race earlier this summer. 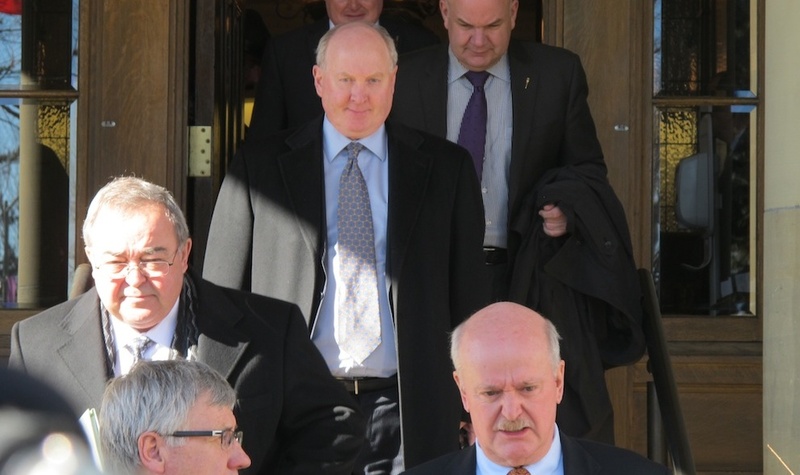 Progressive Conservative MLAs leaving a morning caucus meeting at Government House in March 2014. It is expected that any cabinet ministers appointed from outside the Assembly would be required to run in by-elections alongside Mr. Prentice, who currently does not hold a seat in the Alberta Legislature. As I wrote last week, appointing cabinet ministers from outside the Legislature is not entirely unheard of in Canadian politics but it does come with some risks. Take for example Quebec Premier Bernard Landry, who appointed David Levine as a junior health minister in 2002 only to see him lose a by-election shortly afterward. The defeated candidate resigned from cabinet the next day. While he may choose to include new talent from outside the PC Caucus, Mr. Prentice will still need to choose the bulk of his cabinet ministers from inside the current PC caucus. And his picks became slimmer yesterday as former Energy minister Ken Hughes announced that he will not seek re-election as MLA for Calgary-West. Mr. Prentice announced that former Liberal MLA Mike Percy will be his Chief of Staff and Patricia Misutka will be his Principal Secretary. Both could bring a stronger Edmonton-perspective to Calgarian Mr. Prentice’s inner circle and appear to be competent choices for the roles. 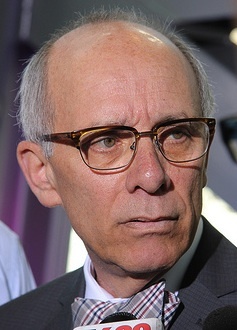 Dr. Percy is the former Dean of Business at the University of Alberta and served as the MLA for Edmonton-Whitemud from 1993 to 1997 (defeating rookie PC candidate Dave Hancock in 1993). He served as the Official Opposition Finance Critic for much of his time in the Legislature. It is suspected that Dr. Percy would have been appointed as Finance Minister if the Liberals, led by Laurence Decore, had won the 1993 election. Ms. Misutka is the former Chief of Staff to Mr. Mandel and was one of four co-chairs of Mr. Prentice’s leadership campaign. After Mr. Mandel’s retirement, she worked as a Senior Advisor with the Canadian Strategy Group, a government relations company run by long-time PC Party insiders Hal Danchilla and Michael Lohner. It appears that Alison Redford’s former communications director, Stefan Baranski, has landed a new job as Regional Director for Ontario at with TransCanada’s Energy East Pipeline project. This entry was posted in Alberta Politics and tagged "Put your seat belts on", AIMco, Alberta By-Election, Bernard Landry, Canadian Strategy Group, Dave Hancock, David Levine, Don Iveson, Doug Horner, Fred Horne, Hal Danchilla, James Rajotte, Jim Prentice, Ken Hughes, Laurence Decore, Leo DeBeaver, Manmeet Bhullar, McClung Family Association, Michael Lohner, Naheed Nenshi, PC Party PIN, Rob Breakenridge, Roger Kingkade, Seat Belts, Sohail Quadri, Stefan Baranski, Stephen Mandel, TransCanada Energy East Pipeline, Whiplash on September 12, 2014 by Dave Cournoyer. The new Edmonton-Wetaskiwin riding includes portions of (1) Edmonton-Mill Woods-Beaumont, (2) Edmonton-Leduc, and (3) Wetaskiwin. What happens when three federal ridings become one? South of Edmonton, large portions of the Wetaskiwin, Edmonton-Leduc and Edmonton-Mill Woods-Beaumont ridings have been merged into the new Edmonton-Wetaskiwin riding. The three Conservative MPs representing the area have chosen not to run against each other for their party’s nomination in the new amalgamated riding – Blaine Calkins will run in the new Red Deer-Wolf Creek and James Rajotte is expected to run in the new Edmonton-Riverbend – leaving Mike Lake to contest the Conservative nomination in Edmonton-Wetaskiwin. Northeast Edmonton MP Tim Uppal was recently quietly acclaimed as the Conservative candidate in the new Edmonton-Mill Woods riding. First elected in Edmonton-Mill Woods-Beaumont in 2006, Mike Lake now faces a challenge from Mohinder Banga and Leduc County mayor John Whaley in the new riding. In a recent post on his Facebook page, Mr. Lake suggests that he might need to sign up 3,000 new members to defeat Mohinder Banga, who he claims could sell up to 4,000 Conservative memberships to win the nomination. It would certainly be some sort of record if 7,000 people showed up for one nomination meeting. Deadline for membership sales is Thursday, May 22 and the nomination meeting is expected to be held in mid-June 2014. The NDP will choose a candidate in the new Edmonton-Griesbach riding at a June 2 nomination meeting at Alberta Avenue Community Hall. Mona Gill, Janis Irwin and Zane Smith are seeking the nomination and have drawn crowds of hundreds to town hall forums organized by the local NDP association. A recent Elections Canada report transposed the 2011 federal election results with the new riding boundaries and showed the Conservatives with 19,832 votes, the NDP with 14,151 votes, and the Liberals with 2,484 votes in the new Edmonton-Griesbach. Liberal activist Wendy Butler is seeking her party’s nomination in the only NDP-held riding in Alberta. 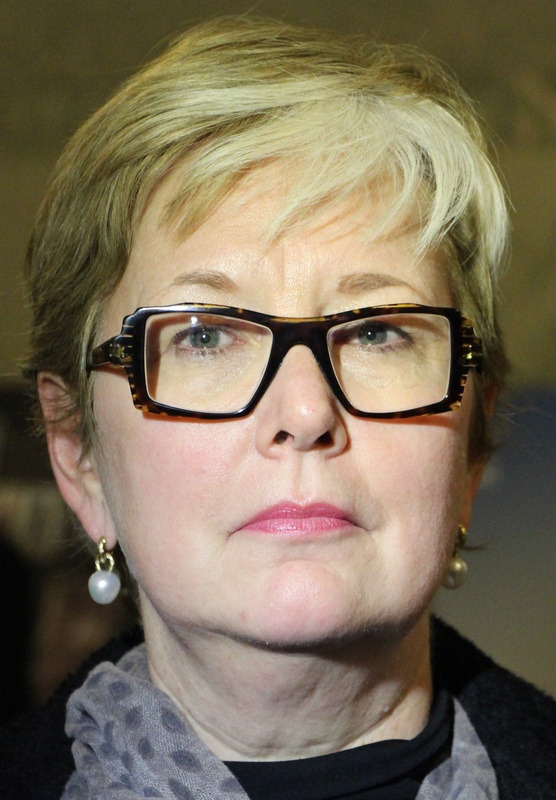 The Liberal vote has declined sharply in this riding over the past five elections as non-Conservative voters coalesced behind NDP MP Linda Duncan. In 2000, candidate Jonathan Dai earned 17,816 votes (31.8% of total votes) and in 2011, candidate Matthew Sinclair earned 1,372 votes (2.8% of total votes). Regular nomination updates can be found on the Federal Election 2015 page. This entry was posted in Alberta Politics and tagged Alberta Avenue, Blaine Calkins, Edmonton-Griesbach, Edmonton-Leduc, Edmonton-Mill Woods, Edmonton-Mill Woods-Beaumont, Edmonton-Riverbend, Edmonton-Strathcona, Edmonton-Wetaskiwin, James Rajotte, Janis Irwin, John Whaley, Jonathan Dai, Linda Duncan, Matthew Sinclair, Mike Lake, Mohinder Banga, Mona Gill, Red Deer-Wolf Creek, Tim Uppal, Wendy Butler, Wetaskiwin, Zane Smith on May 19, 2014 by Dave Cournoyer. 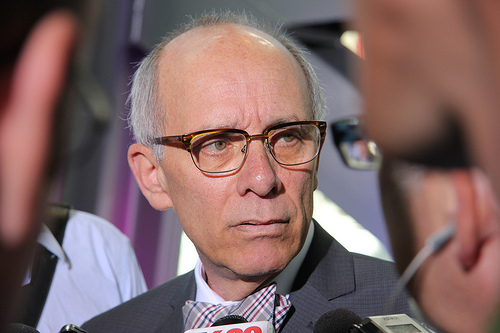 Former Edmonton mayor Stephen Mandel announced yesterday that he will not run for the Progressive Conservative Party leadership. Mr. Mandel was seen as a great hope by many Edmonton Tories, who believed him to be the outsider who could breath some fresh air into the stuffy corridors of the Alberta Legislature. Mr. Mandel would have been 70-years old by the time the next election would be called. Former cabinet minister Gary Mar has ruled himself out as a candidate, as has former Finance minister Jim Dinning. Conservative MP James Rajotte is frequently mentioned as a potential leadership candidate, but it seems unlikely. Senator Scott Tannas briefly expressed interest, but has since declined. Former federal cabinet minister Jim Prentice is frequently mention as a contender, but is he willing to abandon his high-paying job on Bay Street, and a chance at becoming Prime Minister? Why would Mr. Prentice want lead a provincial political party that is scandal-ridden and behind the times on fundamental social policy issues? With the obvious outsiders sitting out, this leadership race could end up being a contest defined by insiders pretending they are outsiders. Announcing his bid last week, Municipal Affairs minister Ken Hughes is the first candidate to enter the contest. He launched his campaign by positioning himself as a political outsider, but the evidence suggests otherwise. The former MP and chairman of Alberta Health Services served on Premier Alison Redford‘s transition team before he jumped back into electoral politics in 2011. Running for the PC nomination in Calgary-West, Mr. Hughes lost and then won a subsequent vote against former MLA Shiraz Shariff. Upon his election, he was immediately appointed Minister of Energy, one of the most coveted positions in cabinet. If Finance minister Doug Horner is going to run for the leadership, which may not a certainty, he is expected to wait until after the provincial budget is passed before resigning from cabinet. Mr. Horner’s support for controversial changes to Alberta’s public sector pension plan, which could negatively impact the retirement security of more than 300,000 Albertans, will certainly dog him during the campaign. Currently scheduled to break on June 5, Premier Dave Hancock suggested this week the spring session of the Assembly might be cut short before May 15. That also happens to be the first day that candidates for the PC Party leadership can pick up their nomination packages and pay $20,000 of the $50,000 entry fee. Nominations close on May 30 and accepted nominees will be announced at a party event on June 2. Ending the session early would also save the Tories from an embarrassing two weeks of having to dodge tough questions from the Wildrose Party about Ms. Redford’s travel expenses and Alberta Health Services’ $1 billion in untendered sole source contracts. Other than Mr. Horner’s provincial budget and two pension bills, the PCs have brought almost no substance to this session. Other cabinet ministers rumoured to be preparing a run for the leadership include Labour minister Thomas Lukaszuk, Justice minister Jonathan Denis, Energy minister Diana McQueen, and Infrastructure minister Ric McIver. Of this group, perhaps only Mr. McIver, a first-term MLA and former Calgary alderman, could realistically argue he is an outsider. Labour unions traditionally make up a small percentage of donors to Alberta’s political parties, and when they donate, it is typically to one party in particular. According to financial disclosures from Elections Alberta, the large majority of political donations made by trade unions in the first quarter of 2014 were made to the Progressive Conservatives, with more than $18,000. The province’s social democratic NDP, the traditional party of organized labour, collected slightly more $6,100 in union donations in the same period. This entry was posted in Alberta Politics and tagged 2014 Alberta Progressive Conservative leadership race, Alberta Building Trades Council, Alberta Health Services, Alison Redford, Calgary-West, Dave Hancock, Diana McQueen, Doug Horner, Edmonton Mayor, Elections Alberta Financial Disclosures, Gary Mar, James Rajotte, Jim Dinning, Jonathan Denis, Ken Hughes, MLA Travel Expenses, Ric McIver, Scott Tannas, Shiraz Shariff, Stephen Mandel, Thomas Lukaszuk, Unions and money in politics on April 17, 2014 by Dave Cournoyer. With yesterday’s announcement by Premier Alison Redford that she will resign on March 23, 2014, the Progressive Conservative caucus will need to select an interim premier and the PC Party is required to hold a leadership contest to select a new leader. 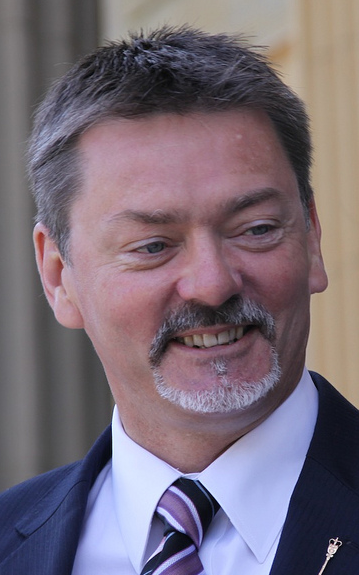 Deputy Premier Dave Hancock and Agriculture minister Verlyn Olson have been rumoured as potential choices for interim premier until the party selects a new leader. UPDATE: Dave Hancock is the new Premier of Alberta until the PC Party is able to hold a leadership vote. Candidates for the interim position are said to have included Doug Griffiths, Frank Oberle, and Verlyn Olson (who declined). According to section 14.2 of the PC Party constitution, a leadership race must be held between four and six months from the time previous leader resigns. This means the vote will need to be held between July 23, 2014 and September 23, 2014. Unlike previous PC leadership races, according to recently changed party rules, if no candidate earns a majority of votes on the first ballot, only the first and second candidate move to the second ballot vote. Previously, three candidates would move to the second ballot. A former Calgary Alderman and mayoral candidate, Mr. McIver was first elected to the Legislature in 2012. Upon his election he immediately joined cabinet and served as Minister of Transportation and Infrastructure, becoming a high profile member of Ms. Redford’s cabinet. 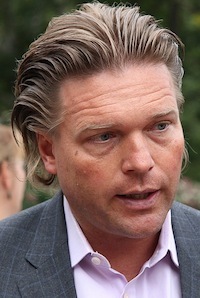 Because of his conservative political leanings, some observers were surprised when he shunned the Wildrose in favour of being a star Tory candidate in the last election. 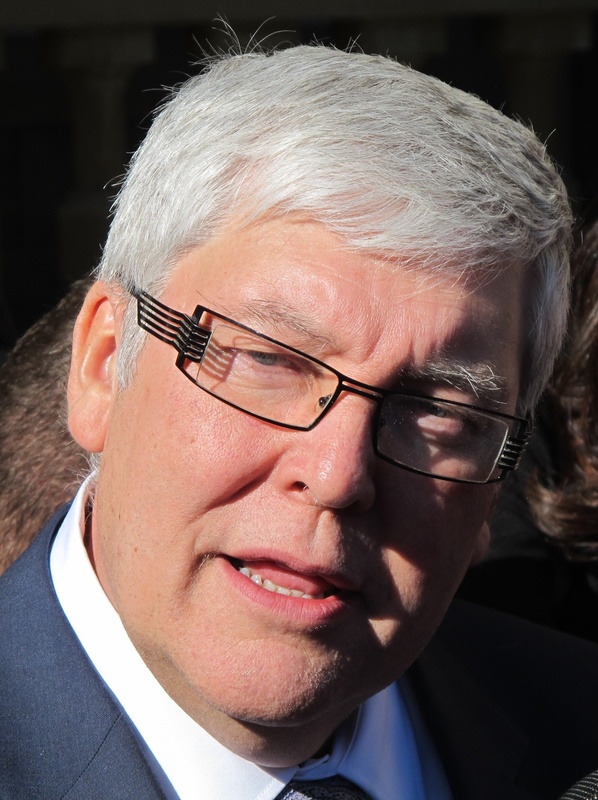 Until recently, the former deputy premier had become the most recognizable face of the PC government. Serving as the unofficial premier while Ms. Redford traveled the globe on trade missions, his combativeness and growing public profile may have been the reason he was demoted to labour minister in December 2013. 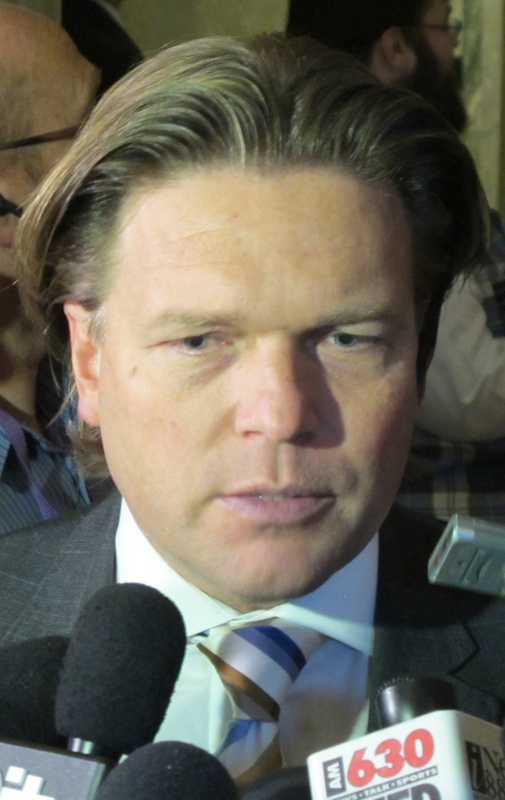 It has long been suspected that Mr. Lukaszuk has aspirations to occupy the premier’s office. 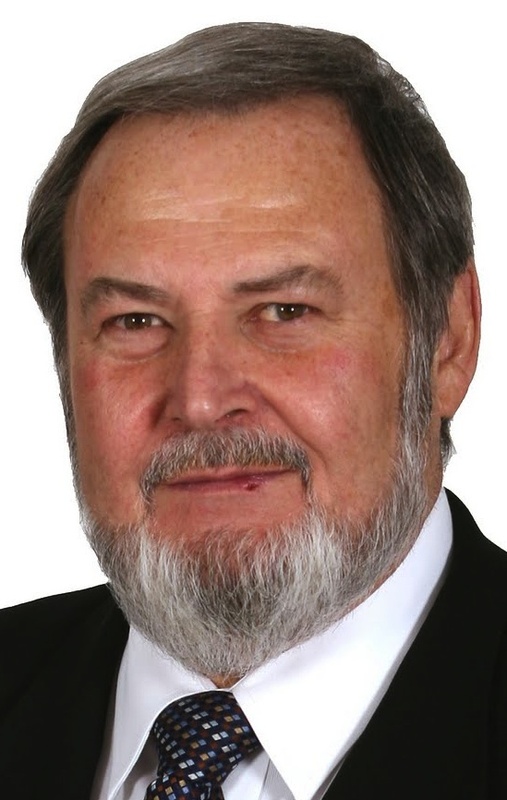 Currently the Finance minister, Mr. Horner was first elected as MLA in 2001. He placed third in the 2011 PC leadership race and became an ally of Ms. Redford’s after the leadership race. Born into a political family, his father Hugh Horner was Lougheed-era minister, his grandfather Ralph Horner was a Senator, and three of his uncles served as Members of Parliament. Member of Parliament representing south Edmonton since 2000, Mr. Rajotte chairs the House of Commons Standing Committee on Finance. He is said to be considering his options after he was once again looked over for a spot in the federal cabinet. The current minister of Justice and Solicitor General is relatively young compared to others on this list, but Mr. Denis is a long-time politico. A lawyer and former business partner of federal Conservative MP Pierre Poilievre‎, he could earn the support of his party’s shrinking right-wing. A “Draft Jonathan Denis for Premier” Facebook page has already been created. The first-term MLA left the PC caucus earlier this week, blasting what she described as a culture of entitlement. A former senior executive in Calgary’s corporate oil sector, Ms. Kennedy-Glans would bring business experience, deep pocketed friends and, now, an independent streak, to a candidacy for leadership. The sure-bet to win the 2011 PC leadership race was quickly whisked away to Hong Kong after losing to Ms. Redford. Since then, the former cabinet minister has been far away from the lime-light while serving as Alberta’s envoy to Asia. It is unclear whether he would try a second time to win his party’s leadership. Oft-talked about as a potential premier, the retired mayor of Edmonton has not shown any signs he is actually interested in the job. After nine years as mayor of Alberta’s capital city, Mr. Mandel left office in October 2013 as a well-respected civic leader. He has since been critical of Ms. Redford’s government’s policies, but is is unclear why he would want to lead the deeply divided caucus. This entry was posted in 2015 Alberta PC Leadership Race, Alberta Politics and tagged Alison Redford, Dave Hancock, Donna Kennedy-Glans, Doug Griffiths, Doug Horner, Frank Oberle, Gary Mar, Hugh Horner, James Rajotte, Jonathan Denis, PC leadership 2015, PC leadership crisis, Ralph Horner, Ric McIver, Stephen Mandel, Thomas Lukaszuk, Verlyn Olson on March 20, 2014 by Dave Cournoyer. There are 705 days until Monday, October 19, 2015, when the next Canadian federal election is scheduled to be held. With less than two years until Canadians choose who will serve as Members of Parliament and with new electoral boundaries coming into effect at the next election, candidates across Alberta are preparing to seek party nominations, a first step to becoming a candidate. Last week’s resignation announcement by Conservative MP Ted Menzies opens the door for a by-election to be held in southwest Alberta’s Macleod riding. When the next election is called, Macleod will be dissolved and the new Foothills riding will be created. Rumours circulated soon after Mr. Menzies announcement that Wildrose official opposition leader Danielle Smith could seek the Conservative nomination were quickly quashed when he announced she would remain as MLA for Highwood. According to the Okotoks Western Wheel, three local residents, businessman Scott Wagner, rancher Phil Rowland and former Parliament Hill staffer Melissa Mathieson, have expressed interest in seeking the Conservative nomination. 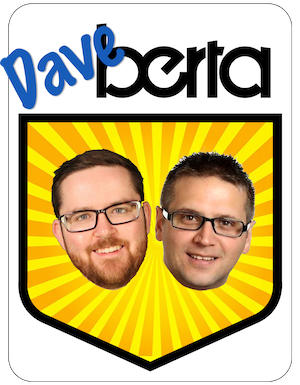 With former Conservative MP Brent Rathgeber confirming he will run as an Independent in the new St. Albert-Edmonton riding in the next election, aspirants are already lining up to contest Conservative Party nomination. 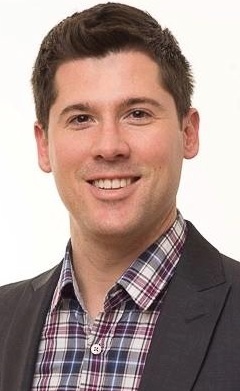 Expected to enter the race in St. Albert-Edmonton is businessman and former political organizer Ryan Hastman, who is currently employed as a Regional Director in the University of Alberta‘s Office of Advancement. Readers of his blog will recognize Mr. Hastman as a co-host of the #yegvote Google Hangout and as the 2011 Conservative candidate in Edmonton-Strathcona. 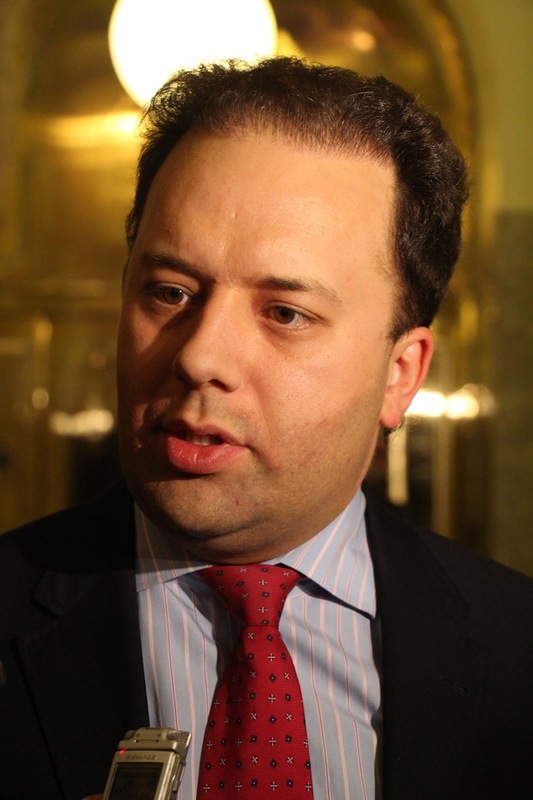 He has previously worked in Prime Minister Stephen Harper‘s Office and for the Wildrose Party. Lawyer and conservative activist Michael Cooper has already announced his candidacy in the St. Albert-Edmonton Conservative nomination and has the support of the provincial Progressive Conservative establishment, including endorsements from Finance Minister Doug Horner, Deputy Premier Thomas Lukaszuk, and St. Albert MLA Stephen Khan. Also in the race is Kevin Tam, a Conservative Party activist who is currently employed as a researcher with the provincial Liberal Opposition. Lethbridge and southern Alberta 2015 electoral districts as recommended by the Electoral Boundary Commission Final Report. Changing boundaries in southern Alberta mean that Lethbridge Conservative MP Jim Hillyer will soon find himself living inside the redrawn Medicine Hat riding, currently represented by Conservative MP LeVar Payne. While a nomination race between the two incumbents could easily be averted if Mr. Hillyer runs in the newly redrawn Lethbridge, he may still face a tough nomination contest now that his large base of support in the southern half of the old riding will now living in a new riding. After a narrow win in last year’s by-election, Conservative MP Joan Crockatt can expect a strong challenge from a newly revitalized Liberal Party organization in Calgary-Centre. Conservatives have still yet to resolve who will run in the handful of new ridings created in south Edmonton. Similar to the situation in southern Alberta, Conservatives are hopeful that nomination battles between MPs Mike Lake, James Rajotte, and Blaine Calkins can be averted. 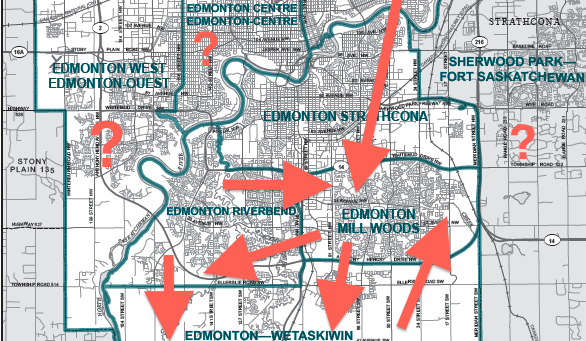 This may be even further complicated if current Edmonton-Sherwood Park MP Tim Uppal decides to seek a nomination in the newly redrawn Edmonton-Mill Woods riding. Mr. Uppal was the Canadian Alliance and Conservative candidate in south east Edmonton in the 2000 and 2004 federal elections and lost his party nomination to Mr. Lake before the 2006 election. Rod Loyola announced his intentions to seek the NDP nomination in Edmonton-Mill Woods last year. 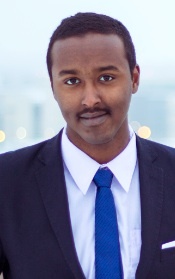 Mr. Loyola was the 2012 provincial NDP candidate in Edmonton-Ellerslie and is currently the president of the Non-Academic Staff Association at the University of Alberta. Calgary’s 2015 electoral districts as recommended by the Electoral Boundary Commission Final Report. With the retirement of Calgary-Nose Hill MP Diane Ablonczy, who was first elected under the Reform Party banner in 1993, Calgarians can expect a hotly contested nomination race in this riding that is considered a Conservative stronghold. One candidate rumoured to be considering a run for a nomination is Calgary-Foothills PC MLA Len Webber, who served as a cabinet minister in Premier Ed Stelmach‘s government but was shuffled to the backbenches after Alison Redford became Premier in 2011. In the always contested Edmonton-Centre, aboriginal activist and educator Lewis Cardinal, announced earlier this year that he would once again seek the NDP nomination. In 2011, Mr. Cardinal increased his party’s support in that riding by 11%, placing second to Conservative incumbent Laurie Hawn. The central Edmonton riding was represented by Liberal MP Anne McLellan from 1993 until 2006. Hoping for a revival of Liberal support in the next election, a number of candidates are said to be preparing to contest the Liberal nomination, including entrepreneur and Rhodes Scholar Randy Boissonnault, and 2011 candidate and lawyer Mary MacDonald. Two-term Edmonton-Decore PC MLA Janice Sarich is rumoured to be mounting a challenge against current Edmonton-East Conservative MP Peter Goldring in the new Edmonton-Griesbach riding. With Mr. Goldring back in the Conservative fold after sitting as an independent, he is expected to seek his party’s nomination in the new riding. The NDP are searching for a star candidate in this riding, after seeing their support steadily increase since the past four federal elections. The new riding also significantly overlaps the areas represented by NDP MLA Brian Mason, David Eggen, and Deron Bilous in the provincial Legislature. The NDP’s 2008 and 2012 candidate, former MLA Ray Martin, was elected to serve on Edmonton’s Public School Board on October 21, 2013. Update (November 14, 2013): Educator Janis Irwin has announced her intention to seek the NDP nomination in the new Edmonton-Griesbach riding. Because lists are something that this writer tends to do well, I will soon start a list tracking declared and nominated candidates planning to run in the 2015 federal election in Edmonton. If I have missed anyone in this round-up, please post a comment below or send me an email at davidcournoyer@gmail.com. This entry was posted in Alberta Politics and tagged Alison Redford, Anne McLellan, Blaine Calkins, Brent Rathgeber, Brian Mason, Danielle Smith, David Eggen, Deron Bilous, Diane Ablonczy, Doug Horner, Ed Stelmach, James Rajotte, Janice Sarich, Janis Irwin, Jim Hillyer, Joan Crockatt, Kevin Tam, Laurie Hawn, Len Webber, Levar Payne, Lewis Cardinal, Mary MacDonald, Melissa Mathieson, Michael Cooper, Mike Lake, Peter Goldring, Phil Rowland, Randy Boissonnault, Ray Martin, Rod Loyola, Ryan Hastman, Scott Wagner, Stephen Harper, Stephen Khan, Ted Menzies, Thomas Lukaszuk, Tim Uppal on November 12, 2013 by Dave Cournoyer. 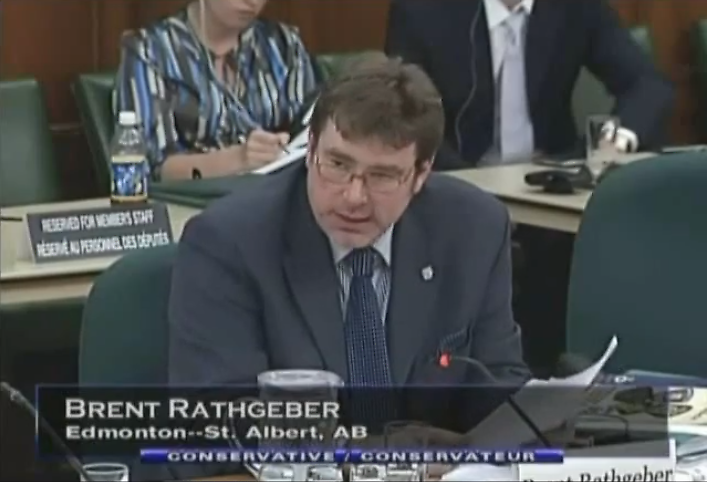 Edmonton-St. Albert MP Brent Rathgeber unleashed a political storm last night when he announced on Twitter that he is leaving the Conservative Party of Canada caucus. Initially citing a “a lack of commitment to transparency and open government,” he expanded his criticisms to the control Prime Minister Stephen Harper‘s office exercises over backbench MPs as interfering with the ability to represent his representing his constituents. 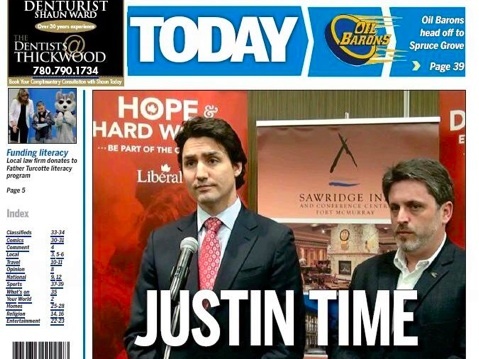 “When you have a PMO that tightly scripts its backbenches like this one attempts to do, MPs don’t represent their constituents in Ottawa, they represent the government to their constituents,” Mr. Rathgeber told reporters at an afternoon press conference in Edmonton. 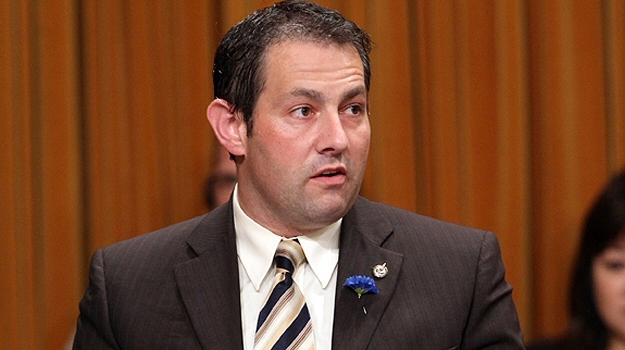 First elected to Parliament in 2008, Mr. Rathgeber has built a case for leaving the Tories by earning a reputation as being one of the only Conservative politicians in Ottawa to purposely deviate from the party discipline enforced by Prime Minister Harper. This is certainly embarrassing for Prime Minister Harper’s government, which has been scandal plagued for the past few months, but it is yet to be seen how damaging the departure will be for the Tory government in Ottawa. His positions have not always been consistent with one ideology. For example, he is a Conservative who opposes the government’s anti-union legislation yet has introduced a private members bill that could undermine the independence of crown corporations like the Canadian Broadcasting Corporation (which was amended by Justice Minister Rob Nicholson). Perhaps he was just bored with being one of the only contrarians in the Ottawa Tory backbenches? Starting his political career at the provincial level in 2001, Mr. Rathgeber became an unlikely politician when he stepped in as a last minute candidate after the already nominated PC candidate, Don Koziak, decided against challenging popular Liberal MLA Lance White (Mr. Rathgeber won the election). He served one term as the Progressive Conservative MLA for Edmonton-Calder until 2004, when he was defeated by New Democrat David Eggen. This means Mr. Rathgeber holds the dubious honour of being the only Alberta Conservative to have unseated an incumbent Liberal and been defeated by a New Democrat. Rumours are already circulating that he could be eyeing a return to provincial politics, perhaps using his new-found fame to propel him as the Wildrose Party‘s challenger to Deputy Premier Thomas Lukaszuk in Edmonton-Castle Downs. Before he makes his decision, Mr. Rathgeber could learn a lesson from former Edmonton Tory MLA Raj Sherman. Dr. Sherman was treated as a saint when he split with the provincial Tories to sit as an Independent, he fell from grace just as quickly as had risen when he decided to join the Liberal Party. Unexpectedly, Mr. Rathgeber’s departure from the Tory caucus may have helped save his former party from an even more devastating political storm. With electoral boundary changes being imposed in the next federal election, local Tories were not looking forward to the prospect of some incumbent MPs having to challenge each other for riding nominations. In south Edmonton, new boundaries have forced Tory MPs Mike Lake, James Rajotte, and Blaine Calkins to uncomfortably position themselves for the prospect of nomination fights in new ridings. Making the shuffle more complicated are rumours that north Edmonton MP Tim Uppal may seek a nomination in a south Edmonton riding, as his Edmonton-Sherwood Park riding is being dissolved. Add to this the rumours that Minister Rona Ambrose may opt to retire instead of seeking a fifth-term in the new Edmonton-West riding. If the nomination contest tension reaches the point of fisticuffs, the Tories could offer one of these MPs an easy nomination race in the now non-Conservative Edmonton-St. Albert. This is similar to when Mr. Uppal was offered an easy nomination win in Edmonton-Sherwood Park after Mr. Lake him for the Edmonton-Mill Woods-Beaumont nomination in 2006 (Mr. Uppal was that riding’s Conservative candidate in 2000 and 2004). Edmonton-East MP Peter Goldring said recently he would like to seek a Conservative (or even a Liberal) nomination in the next election. Mr. Goldring was welcomed back into the Conservative caucus today after he was suspended in 2011 for refusing to give a breath sample to police. Today he was found not guilty. Mr. Goldring’s departure from the Conservative caucus a year and a half ago sparked interest among prospective Conservative nominees. Lawyer Michael Cooper, who is seeking the Conservative nomination in the new Edmonton-Griesbach riding, and PC MLA Janice Sarich, who is rumoured to be eyeing a federal candidacy, could see Mr. Rathgeber’s departure as an opening to run instead in Edmonton-St. Albert now that Mr. Goldring has been readmitted to the Tory caucus in Ottawa. This entry was posted in Alberta Politics and tagged Blaine Calkins, Brent Rathgeber, Don Koziak, James Rajotte, Janice Sarich, Lance White, Mike Lake, Raj Sherman, Rob Nicholson, Rona Ambrose, Stephen Harper, Thomas Lukaszuk, Tim Uppal on June 6, 2013 by Dave Cournoyer. choosing a new captain of the mothership. Happier times in the PC Caucus when Ted Morton and Dave Hancock held hands and sang Kumbaya. Former Finance Minister Ted Morton believes that he is the best person to bring conservatives back to the PC “mothership,” but that is not stopping the speculation of who will challenge him in the contest to fill his party’s top job. Rarely in the spotlight, Premier Ed Stelmach‘s Chief of Staff Ron Glen spoke with the Calgary Herald about his boss’ resignation announcement and the politics of the past week. Vote a vote for Jim in 2011? Completely ruling out returning to politics when asked last Tuesday, former Finance Minister and 2006 PC leadership contest front-runner Jim Dinning was less committal later in the week. Many Tories I have spoken with in the past week tell me that while they would love Mr. Dinning to return to politics, that they believe it is unlikely that the University of Calgary Chancellor will seek his party’s leadership. Edmonton-Leduc Conservative MP James Rajotte is said to be considering a bid for the PC leadership. First elected as a Canadian Alliance MP for Edmonton-Southwest in 2000, Mr. Rajotte . He was the Ottawa roommate of Rahim Jaffer in the 1990s, when he worked as the legislative assistant for Edmonton-Strathcona MP Hugh Hanrahan and Surrey-North MP Margaret Bridgeman, and later as executive assistant to Edmonton MP Ian McClelland. Mr. Rajotte is currently the chair of the House of Commons Standing Committee on Finance. First elected as the MLA for Edmonton-Whitemud in 1997, Minister Dave Hancock placed fifth out of eight candidates with 7,595 votes on the first ballot of his party’s 2006 leadership contest. He endorsed Premier Stelmach on the second ballot. Minister Hancock has served as Minister of Justice, Health, Advanced Education, and Education (among others) and has been a PC Party insider since serving as Youth President in the 1970s. In his current role as Education Minister, Hancock encouraged Trustees, parents, administrators, and others to think big about the future of the education system. This process had encouraged good among education system participants until recently, when the government attempted to renegotiate an already agreed upon contract with Alberta’s teachers. The right time for Griffiths? A leadership bid by Battle River-Wainwright MLA Doug Griffiths is not only gaining support in internet polls. Metro Calgary columnist DJ Kelly wrote a column last week suggesting that the outspoken and insightful Mr. Griffiths might be the best candidate for the job. Tongue in cheek campaign or the next big political shift? Paula Simons examines the political career of Edmonton-Mill Woods PC MLA Carl Benito and the recent online chatter about him. This entry was posted in Alberta Politics and tagged Carl Benito, Dave Hancock, Dj Kelly, Doug Griffiths, Ed Stelmach, Hugh Hanrahan, Ian McClelland, James Rajotte, Jim Dinning, Margaret Bridgeman, Rahim Jaffer, Ron Glen, Ted Morton on January 31, 2011 by Dave Cournoyer. federal opposition parties putting pressure on the tories in edmonton. Opposition parties hope to turn the death of Edmonton’s Expo 2017 bid into a major campaign issue. 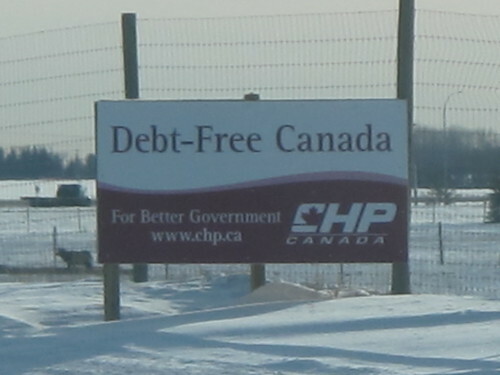 The Christian Heritage Party of Canada election campaign sign near Morinville, Alberta in the Westlock-St. Paul riding. Federal opposition parties are preparing for the next federal election and nominating candidates in Alberta ridings where they think breakthroughs are possible. The federal Liberals ended 2010 with a meeting in Edmonton-East selecting Shafik Ruda as their candidate of choice against five-term Member of Parliament Peter Goldring and former NDP MLA Ray Martin. 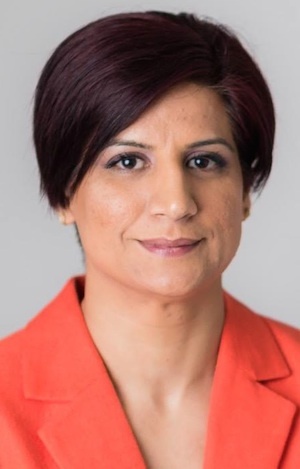 Liberals in Calgary-East are expected to nominate Josipa Petrunic on January 18 to challenge Tory MP Deepak Obhrai. In late 2010, the Conservatives acclaimed party insider Michelle Rempel as their candidate in Calgary-Centre North, recently vacated by former Environment Minister Jim Prentice. The federal Liberals slate in Alberta is expected to be bolstered when a high-profile candidate announces their intentions to stand against Labour Minister Rona Ambrose in Edmonton-Spruce Grove. Alberta political watchers have been abuzz with rumours that Ruth Kelly, publisher of Alberta Venture magazine and former President of Edmonton’s Chamber of Commerce, will carry the Liberal Party banner against Minister Ambrose. The rumours began after Ms. Kelly’s became an outspoken critics of the Government of Canada’s denial of funding for Edmonton’s bid for the 2017 Expo (and the large pile of federal infrastructure funding that was expected to come with a successful bid). While I have remained largely indifferent to the 2017 Expo bid, it is easy to understand the frustration of the people who committed their time and energy towards the bid only to have political powers in Ottawa deny the funds needed to make it a reality. Minister Ambrose will be difficult to defeat, but I am glad that the Conservatives might actually have to pay some attention to and focus some of their campaign resources on a riding that they would likely take for granted. A shift in financial and volunteer resources could also make a difference in the expected competitive races in Edmonton-Strathcona between NDP MP Linda Duncan and Tory candidate Ryan Hastman, and in Edmonton-Centre where Liberal Mary MacDonald and New Democrat Lewis Cardinal are challenging Tory MP Laurie Hawn. 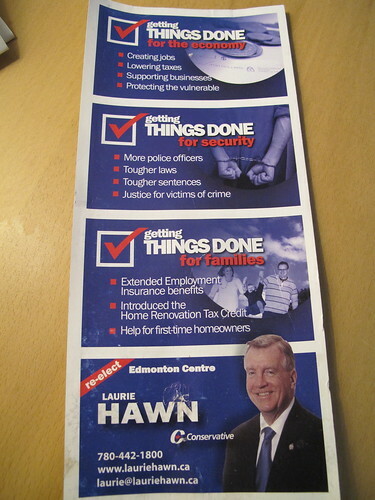 A mail flyer sent out by Edmonton-Centre Conservative MP Laurie Hawn in Fall 2010. Does Edmonton have a champion in Ottawa? It is really hard to tell sometimes. Our Members of Parliament can be often seen at events around our city (some more than others), but none of them have distinguished themselves as Edmonton’s strong voice in the national capital. Edmonton has its share of competent representatives in our local batch of current MPs, like Mike Lake, James Rajotte, Tim Uppal, and Mr. Hawn, but none of them have succeeded in carrying the kind of political clout that has defined Edmonton’s previous prominent champions in Ottawa. In the recent past, our city has sent prominent voices like Jim Edwards, Deb Grey and Anne McLellan to the House of Commons and as one local columnist has suggested, we have not had a champion since. Edmonton’s lone opposition MP, Ms. Duncan, was elected with high expectations in October 2008, but has been somewhat of a ghost in our city ever since. Are federal party leaders paying attention of Edmonton? Liberal leader Michael Ignatieff, NDP leader Jack Layton, and Green Party leader Elizabeth May have visited Edmonton a number of times in the past year. Prime Minister Stephen Harper visited Edmonton this year for the first time since 2008. This entry was posted in Alberta Politics and tagged Anne McLellan, Deb Grey, Deepak Obhrai, Elizabeth May, Jack Layton, James Rajotte, Jim Edwards, Jim Prentice, Josipa Petrunic, Laurie Hawn, Lewis Cardinal, Linda Duncan, Mary MacDonald, Michael Ignatieff, Michelle Rempel, Mike Lake, Peter Goldring, Ray Martin, Rona Ambrose, Ruth Kelly, Ryan Hastman, Shafik Ruda, Stephen Harper, Tim Uppal on January 3, 2011 by Dave Cournoyer.